Pioneer Electronics have announced their fourth generation of shallow subwoofers. These ib-Flat range of subs are now available for purchase. Here is the complete breakdown from the press release. 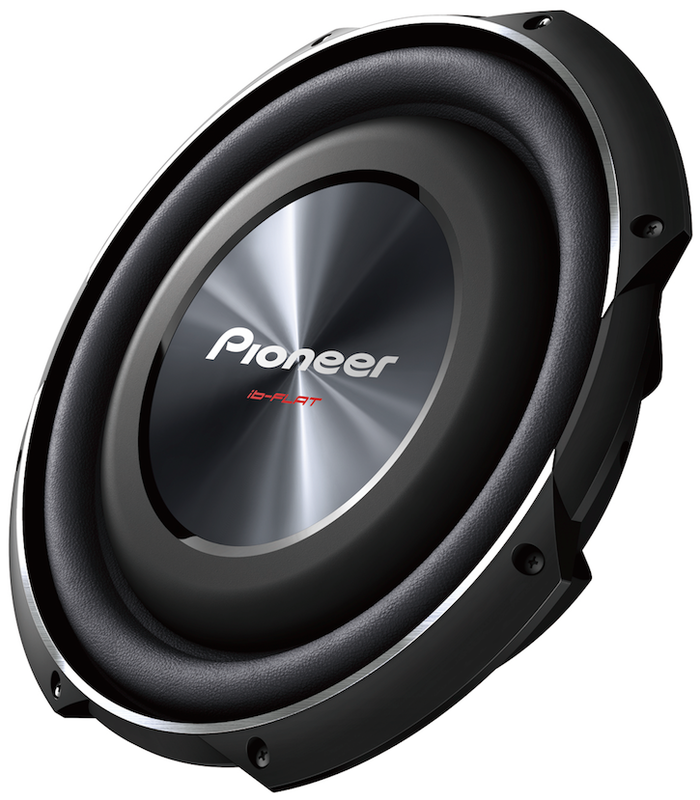 Designed especially for consumers who want to add more of the critical bass frequencies in the bottom three octaves (20Hz - 160Hz) but do not have the room or desire to install a traditional subwoofer enclosure in their vehicles, Pioneer's next generation ib-Flat shallow subwoofers have a mounting depth of less than 3.25-inches and require only a small enclosure to reach their optimum performance. - Convex Oversized Mica Reinforced IMPP Cone: The in-flat woofers use a highly rigid, convex shaped cone structure made with mica reinforced injection-molded polypropylene (IMPP) resin to create an extremely stiff and durable cone while reducing the moving mass. - Dual Spider Suspension: The fourth generation ib-Flat models use a dual spider suspension design to control the linearity of the voice coil structure. 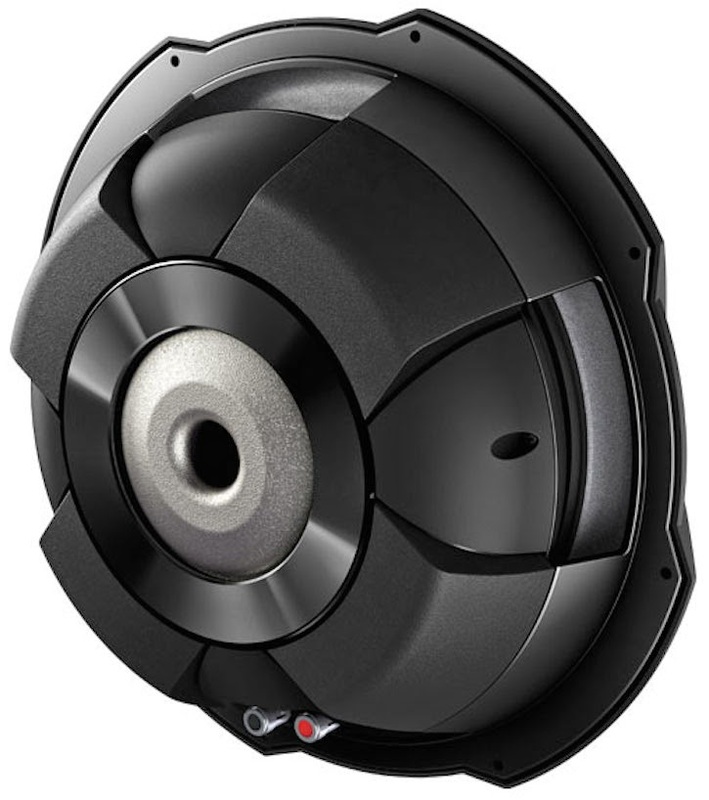 Dual spiders provide symmetrical and better controlled movement of the voice coil/cone, significantly increasing sound quality, power handling, and reliability. - 4-Layer Voice Coil: A 4-layer, heat resistant polyester resin voice coil helps dissipate heat quickly resulting in higher power handling. 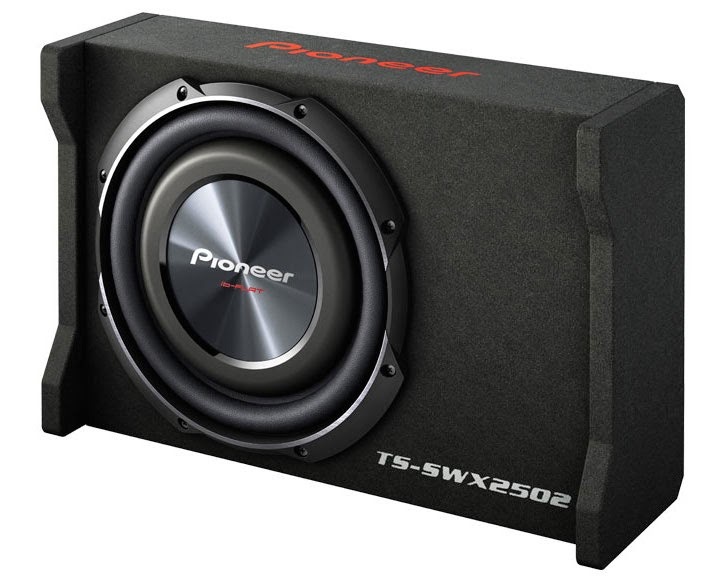 - Original Equipment (OEM) Applications: The 8-inch sized TS-SW2002D2 is outfitted with an outer basket stamped with a variety of mounting holes designed for drop-in replacement of the original equipment subwoofer in select domestic and foreign vehicles. I've had an 8" Pioneer flat sub/enclosure before and it was OK. Maybe these new ones are better, but for just a little bit more money, the JL microsub line is probably the way to go. The 8" CP108LG-W3v3 ported enclosure is roughly 18x11x5 inches and it sounds enormous.